Southport Sharks has always had a strong philosophy to support the local community, sporting charities and it’s staff. Recently, a staff member from The Cafe, Sharon Karaka, was selected to represent Australia in Hockey at the Exin Masters 2018 World Cup, to be held in Terrassa, Spain in July 2018. We caught up with Sharon to find out more about her upcoming experience. Sharon, firstly, congratulations on making the Australian team. Can you walk us through your hockey journey and how you came to be playing for Australia in the Masters 2018 World Cup? Hockey has always been a sport of focus in our family, having played in teams alongside my mum, aunties, and cousins. I started playing at the age of five and I have played for over 30-years. 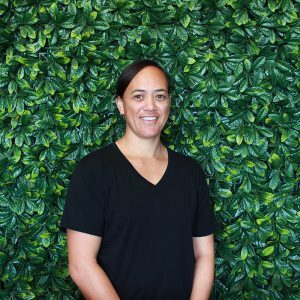 I grew up in NZ, making NZ development clinics, I first played for a representative team aged 10, and I was also named in the NZ Maori Women’s team, at the young age of 18. I could have gone on further and represented the NZ Black Sticks, however I started a new chapter in life and this was to have my own family. Position: I play a striker, but I’m also a utility player. What does it mean to you to have made the team? I am very humbled to have been selected for this team. I had 2016 off to recover from injury and put in new strategies to get myself hockey fit again. I had always wanted to experience playing hockey at an international level during my 20’s, but this didn’t eventuate, so to have this opportunity now is still so surreal. I am so proud to finally represent a country at the sport that I love. What are the challenges in competing in an international tournament? Staying injury free, but also the expense of flights, uniforms, accommodation and transport. You will see Sharon’s partner has set up the page on behalf of her children. Over her hockey career, Sharon has always put her young family first, this time the kids want their mum to come first. Click to donate towards Sharon’s 2018 Master World Cup Go Fund Me campaign. Thank you for your support, and we wish Sharon and the team the best of luck at the Masters 2018 World Cup.